As Innocent Criminals, 15-year-old Daniel Johns and his 14-year-old band mates Ben Gillies and Chris Joannou played three 40-minute sets in a back room of Jewells Tavern, just north of Newcastle. 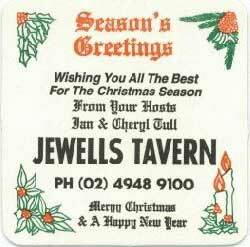 Jewells Tavern is a sports-oriented pub attached to a small regional shopping center. A stage was set up with plywood atop a number of milk crates. The band recieved $350 for their show. John Watson, then with Sony Music Australia and now silverchair's manager, was in attendance along with John O'Donnell of Murmur, the band member's parents and a handful of bikers. "They had the football over in the corner on the TV set which wasn't turned off for the whole time the band was playing, and most of the people that were there watched the football more than they watched the band," Watson remembered in an interview for an ABC TV special on silverchair. "They already had Pure Massacre, they had Tomorrow, they had Shade, they had a stack of really good songs, and then they had these sort of classic rock tracks in amongst the middle of it." O'Donnell described Johns' vocal stylings as "a voice from hell," according to Craig Mathieson's Hi Fi Days: The Future of Australian Rock. "At the end of the first song we just looked at each other and were totally speechless," O'Donnell said. "We were just blown out," Watson said.